I am a proud daughter of Haitian immigrants. I am a mother, a sister, an aunt, a teacher, a leader. I am the meaning of my name-Valda: powerful, a ruler, a warrior. I am from resilient people, who stand tall despite disasters. I sit in the sacrifices of many, and honor them each and every day as I give back. I Live Inclusively® by seeing value in others and sharing pieces of myself to contribute to making our world a better place. Valda Valbrun is a principal strategist with The Winters Group. An established Educational Leader, Valda is known for passion toward inclusive, research-based and data-driven pedagogy. 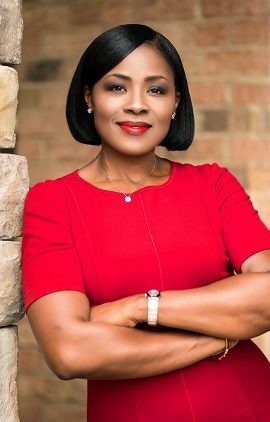 As a systems change facilitator with a proven track record of supporting schools and districts to change educational practices and establish systems, she is been known as a dynamic Professional Developer, Teacher, Administrator, Entrepreneur, Advocate and Student Champion. Ms. Valbrun has a strong background in school administration, having served as a middle school principal. She is committed to professional development and closing achievement gaps and never waivers in her commitment to instructional and leadership improvement; both on the macro-level of a school system and on the micro-level of an individual classroom teacher and leader. Ms. Valbrun has worked directly with schools and district leaders to advance improvement initiatives and understands that leaders must be lifelong learners and better solutions come from groups with diverse backgrounds and perspectives. Her experience includes work in rural, suburban, and large urban districts. She currently provides leadership training, coaching and consulting across the country in addition to providing training specifically to build Culturally Proficient Leaders. Ms. Valbrun received a Bachelor of Arts degree in English and Journalism from the University of Massachusetts at Amherst, and a Master of Science degree in Education from Nova Southeastern University. She also completed post-graduate certification in School Administration and Leadership at Johns Hopkins University. She is a trained executive coach and an Intercultural Development Inventory (IDI)© Qualified Administrator.